Since time immemorial, people are obsessed with eternal youth. Do you know that regular baths with special ingredients is one of the things that can improve the quality of your skin? The Egyptian Queen Cleopatra used to have baths in milk from donkeys. The baths were not just an oddity, beneficial effects of any milk on the skin were proven. The infamous Marie Antoinette, Queen of France, loved wine baths in order to have her skin smooth and nourished. By the way, already ancient Romans used wine to moisturize and colour their lips. The Countess Elizabeth Báthory (from the renowned Báthory family of nobility in the Kingdom of Hungary), known as a biggest female serial killer of Hungarian and Slovak history, used to bathed in the blood of girls-virgins. She killed hundreds of girls and young women (mostly her maid-servants) between 1585 and 1610. The legends say that she had a phobia of ageing and believed that baths from their bloods can help to keep her skin forever young. Fortunately nowadays we don´t need to search for milk of donkeys or do other strange things in order to enjoy a good, healthy bath. For visitors of Prague, the capital of the Czech Republic and "the Beer kingdom" :-), I can highly recommend to visit one of the popular Beer Spa. Czech beer is a national treasure. The tradition of cultivation has a long history in the Czech Republic. Beer of the highest quality has been brewed here for centuries, and it has become deeply embedded in the national culture. It’s no coincidence that the Czech Republic has the world’s highest consumption of the amber nectar. Beside the great taste, scientists also proved the healing qualities – beer stimulate and support the organism’s stamina, benefits the vascular system, helps relax the muscles and harmonises bodily functions. 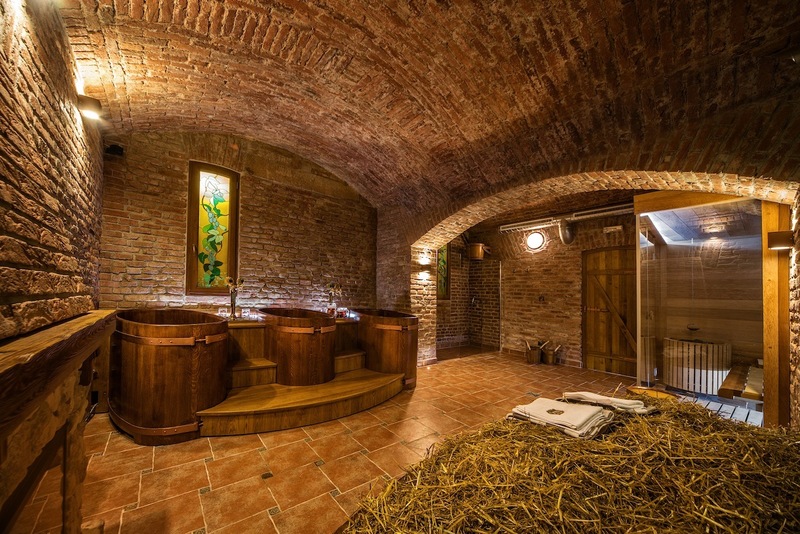 A staying in a Beer Spa promises a pleasure not only for your body but for your taste too because while you have a bath in beer you can can also drink beer as much as you want :-). Beerland Beer Spa is located in the city centre, near Wenceslas Square (about 10 min. walking), in street Žitná 9 (opposite the Sheraton Prague Charles Square hotel). What can you expect there? You don´t need to take anything with you (no robes, no towels) because you will get a private room. A smiling staff will welcome you with a mug of beer, you will receive a towel. 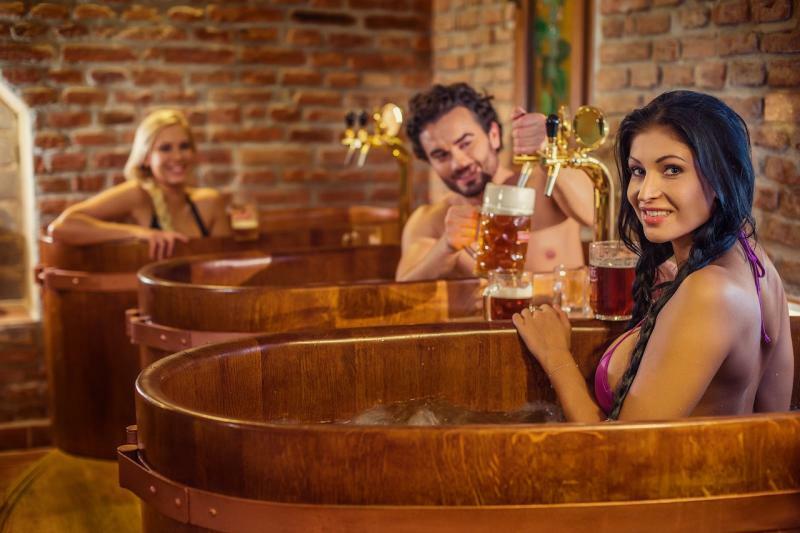 After 20 minutes of whirlpool bath in an oak tube you will take a sauna in a shape of beer barrel with hops essences. Then you will relax at a fireplace on wheat straw and taste a fresh home-made beer bread. You can buy beer cosmetics and gift vouchers. Beer Spa Bernard is located totally downtown, near the Old Town square in the lovely small hotel Metamorphis, which you will find in a beautiful courtyard called "Týnský dvůr". What can you expect there? Beer Bernard is produced by the traditional way from the best variety of Czech hops. Beer is not pasteurized, that´s why it keeps its quality, taste and aroma. 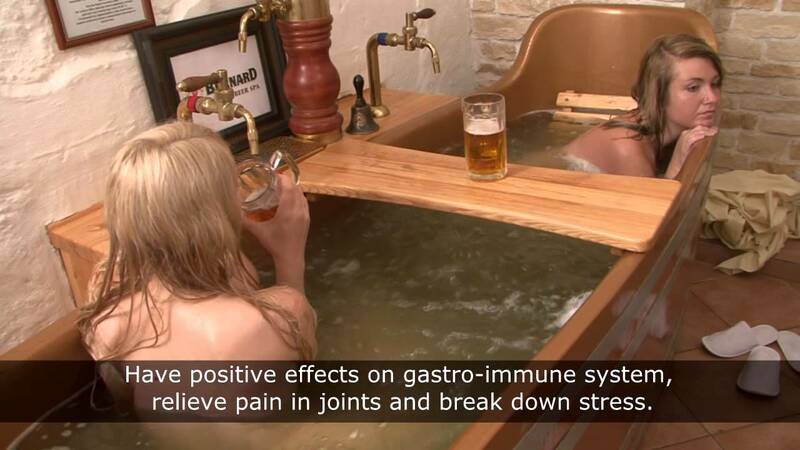 In the beer bath is not used barley or barley malt brewing, so no need to worry about adverse allergic reactions. Part of Beer Spa Procedure is also unlimited consumption of unpasteurized Beer Bernard during the whole time. 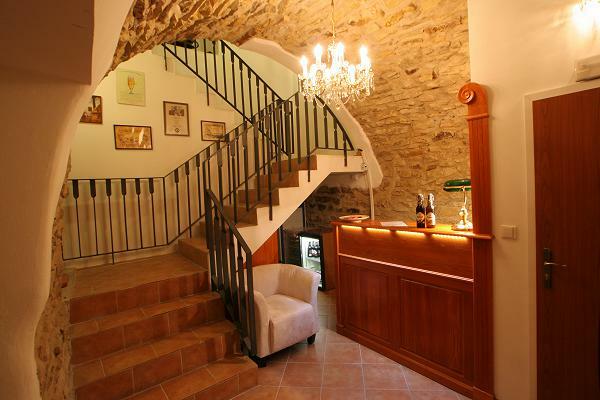 Price: 100 EUR / 2 persons / 30 min.bath + 30 min. relax + unlimited consumption of beer. For extra fee you can have a massage (20 min.). TIP! If you want to nicely surprise your partner or friends buy a gift voucher for them. Also Beer Spa BBB Praha is located totally downtown, street Masná 5, near the Old Town square. What can you expect there? 20 minutes you will stay in +35 °C warm whirlpool bath which is enriched with ingredients from which beer is brewed: yeast, hops, grist, etc. After the "beer bath" you will have a rest in period of 30-45 minutes on a bed of oat straw, where your body sweats and releases. Do you have an experience with any Beer Spa in the Czech Republic or in a different country? If so, please write me about it. I will be happy to know your opinions.